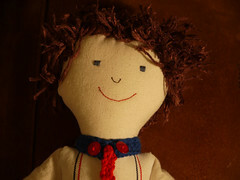 #49 Heart doll from Mamima collection, a photo by mamima project on Flickr. 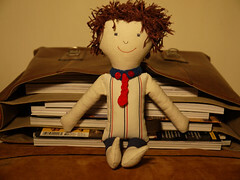 After couple of nights around his hair, the #49 doll from our collection is ready to spread HUGS around the world. He makes me feel happy and smile. A world of happiness and joy to the little childs. Depois de umas noites à volta do cabelo, o boneco #49 da nossa coleção já está pronto para espalhar abraços pelo mundo fora. Este boneco faz-me sentir feliz e sorrir. Um mundo de alegria e felicidade para os mais pequeninos. 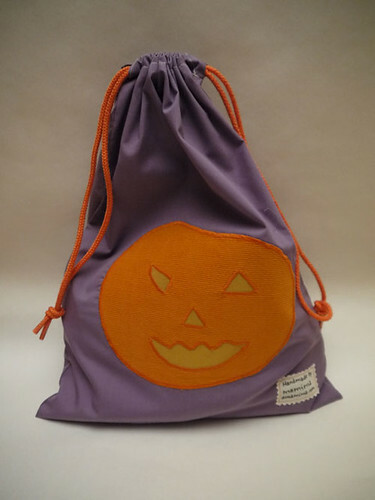 Halloween drawstring bag, a photo by mamima project on Flickr. Have fun playing with your kids this halloween and dont forget the candy bag. Halloween, it's all about the candy if you're a kid! 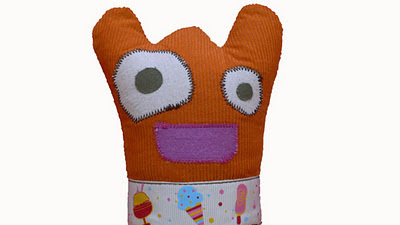 This is a cute halloween candy bag. Just in time Margarida brought quinces from Guarda, because we were already in the last bowl of quince cheese from last year. 1. Weigh and wash the quinces. 2. Cut the quinces in quarters and remove the cores. 3. 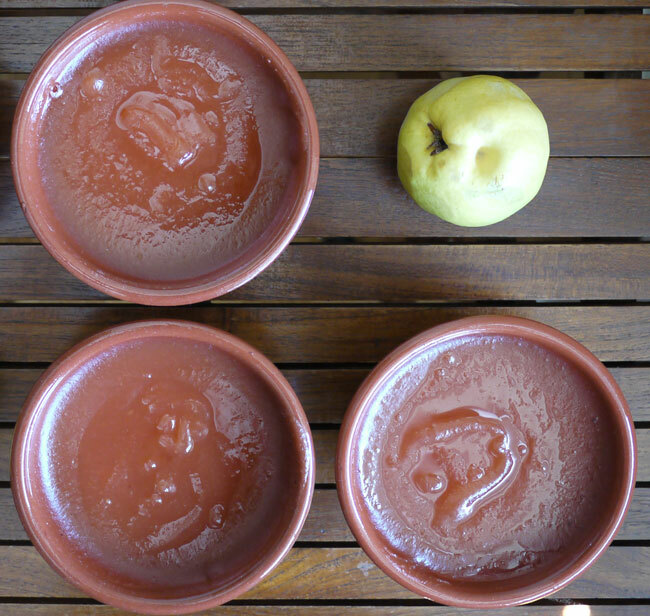 Boil quinces in water enough to cover them, untill they are tender. 4. Remove the water, put the quince pieces in the food processor and blitz until you have a paste. 5. Put quince paste and sugar (equal weight of the fruit) in the pot. 6. Bring the quince paste to the boil and boil until the setting point is reached. Stir often enough to prevent burning. 7. Remove from the heat and put in a bowl. 8. Let it dry (at the sun) a couple of days. 10. Cover the quince cheese with the tracing paper. Em boa hora a Margarida trouxe marmelos da Guarda, pois já estávamos na última tigela da marmelada do ano passado. 1. Pese e lave os marmelos. 2. Corte os marmelos em quartos e remova o centro. 3. Cubra os marmelos com água e deixe cozer até ficarem macios. 4. Escorra a água e passe os marmelos com a varinha mágica até obter um creme homogéneo. 5. Coloque o creme de marmelo numa panela com igual peso de açúcar. 6. Ferver a marmelada até atingir o ponto desejado mexendo com frequência para evitar que queime. 7. Retire do lume e coloque em tigelas. 8. Deixe secar (de preferência ao sol) durante dois ou três dias. 9. Pincele um pedaço de papel vegetal com uma bebida alcoólica forte (como águardente). 10. Cubra a marmelada com o papel vegetal. 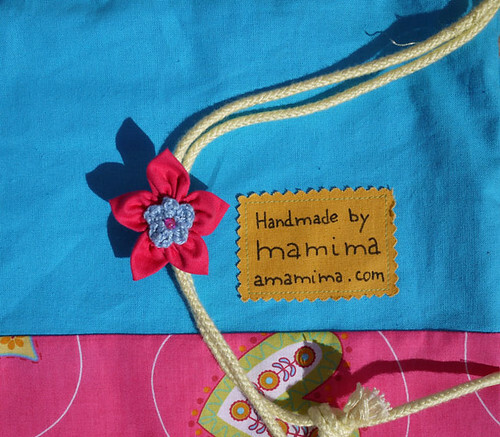 The drawstring bag and the kanzashi flower, a photo by mamima project on Flickr. 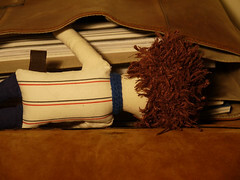 We've spent a good time making and personalizing this drawstring bag with our daughter. 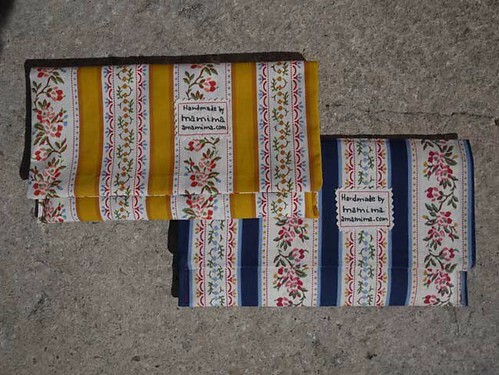 The pattern, the fabrics and the colors were chosen by her and it will be used to carry the instruments to make bracelets. Passámos uma noite divertida a fazer este saco personalizado com a nossa filha. O desenho, os tecidos e as cores foram escolhidos por ela e será usado para transportar os instrumentos para fazer pulseiras. 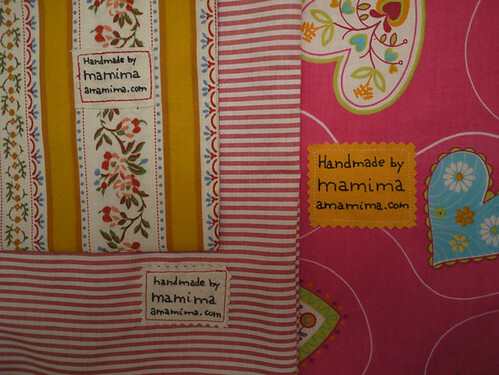 Mamima Napkins Case, a photo by mamima project on Flirk. Napkins , a photo by mamima project on Flickr. 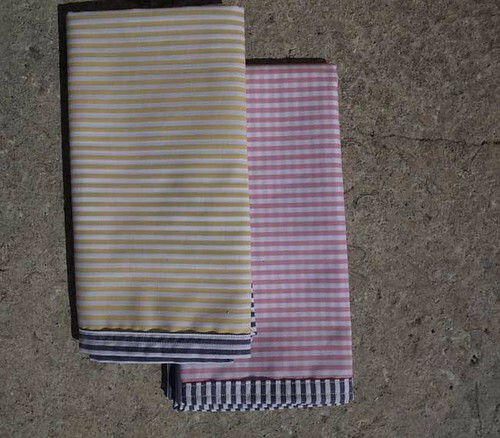 The napkins and their case made with Chita da Alcobaça. This was the work from last night. The napkins were made following the Molly's Sketchbook: Linen Thanksgiving Napkins tutorial from Purl bee. Os guardanapos e os seus sacos feitos com Chita de Alcobaça. Este foi o resultado do trabalho da noite passada. Os guardanapos foram feitos seguindo o tutorial Molly's Sketchbook: Linen Thanksgiving Napkins disponível no Purl bee. Today we went for a walk on Jardim do Largo das Pimenteiras in Lisbon to enjoy this wonderful sunny day of October and we stop to take a picture of this cute little Cat on the chair made in honor Adelaide João a portuguese actress. 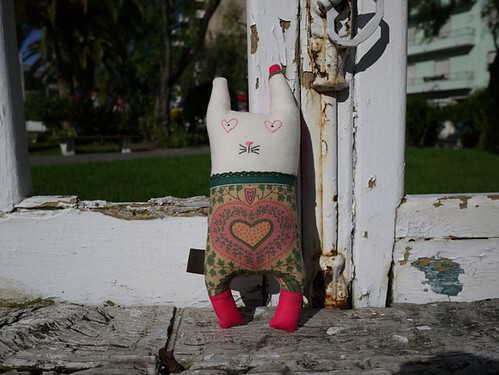 #48 Heart made Cat from Mamima collection, a photo by mamima project on Flickr. 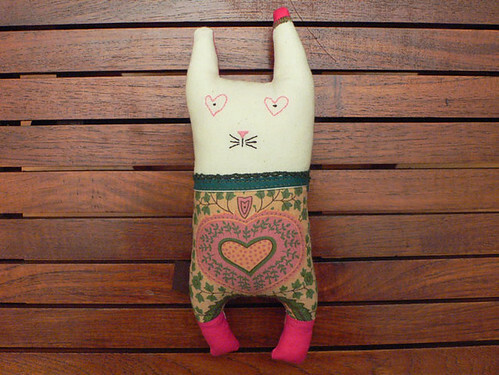 Cute little cat made with Chita de Alcobaça pattern, a traditional portuguese pattern bought on Armazém dos Linhos in Porto. 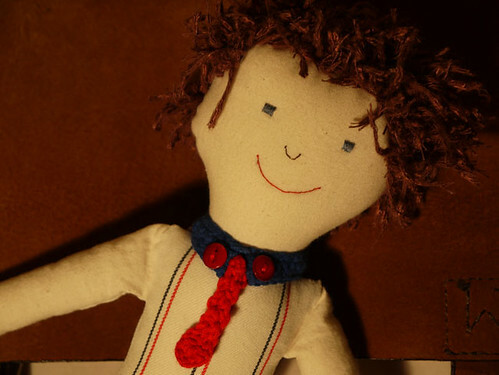 We are pleased to HUG you with the #47 doll from Mamima handmade collection.Each doll from Mamima collection is created individually and made with the finest materials; the fabrics are chosen with care and sewed with love. 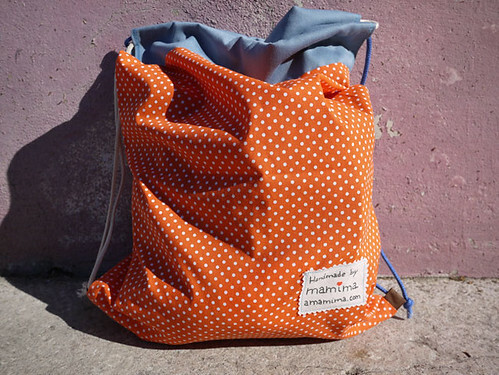 Mamima Drawstring Bags, a photo by mamima project on Flickr. Here are some Drawstring Bags that we've made tonight. 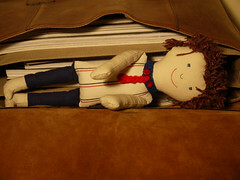 We're preparing new items to our collection. Aqui estão alguns dos sacos de cordão que fizemos durante esta noite. Estamos a preparar novos artigos para a nossa coleção.